LAKE LOUISE, ALBERTA – The compact and midsize crossover has quickly become the de-facto family choice for North Americans. 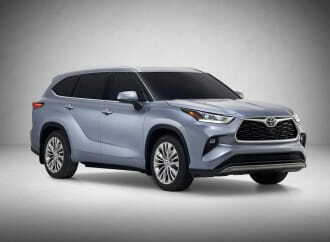 Today’s buyers are prioritizing ride height, all-wheel-drive, and the added storage space of a crossover over the traditional sedan. 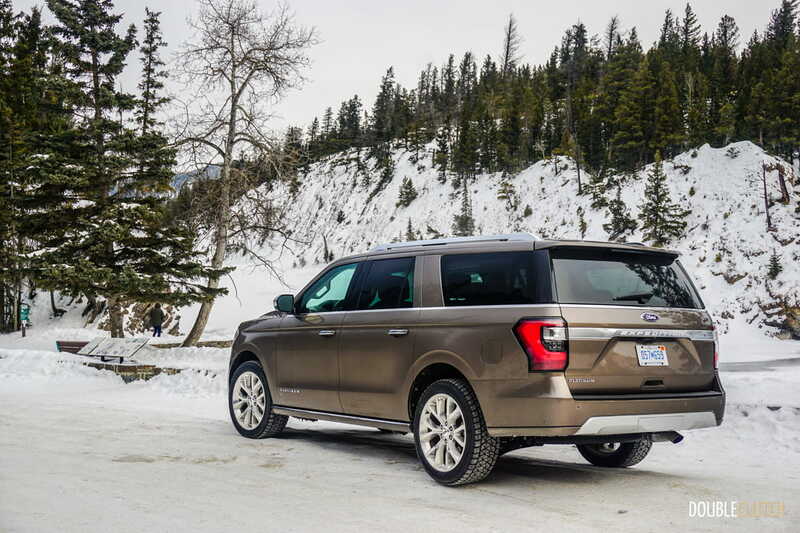 For those families that require regular use of a third row as well as cargo space behind it, the full-size SUV is still very much alive. 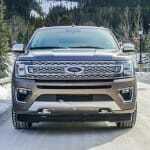 The segment has been led by the GM family of body-on-frame trucks, a series that has proven excellence time and time again within our office, for road trip use as well as people moving. 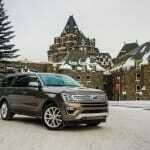 We flew to the bitter cold of Lake Louise, Alberta and Banff National Park to test the all-new 2018 Ford Expedition. 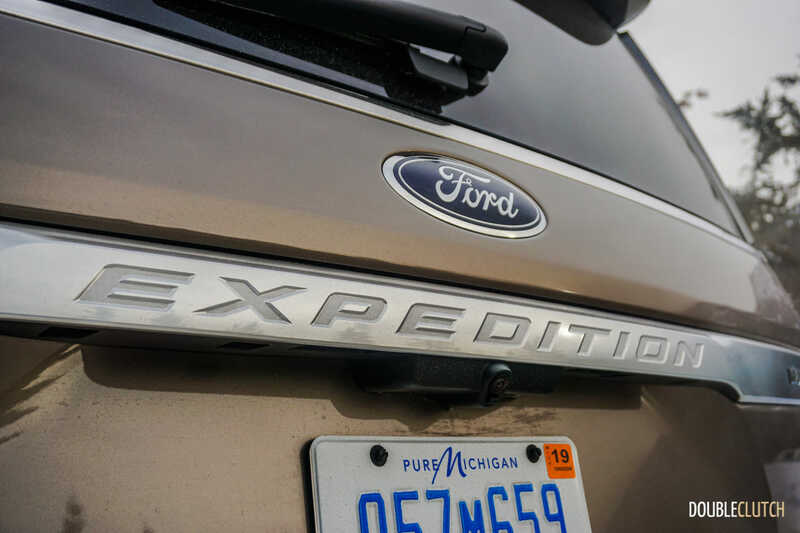 The Expedition has been around for two decades now, though the last model was becoming quite long in the tooth. 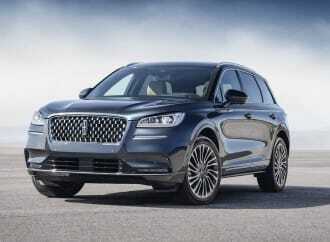 A mid-cycle refresh for 2015 added the EcoBoost V6 powertrain, but did little else to modernize the behemoth. 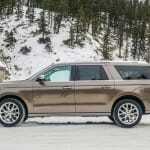 A standard two-box SUV design means the Expedition somewhat resembles the Tahoe (reviewed here) and in higher trims, the Escalade (reviewed here), but that’s about where the similarities end. 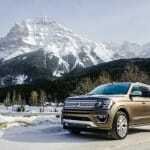 Ford has implemented an all-aluminum-alloy body on a steel frame, to ensure weight is kept down regardless of the physical size of the vehicle. 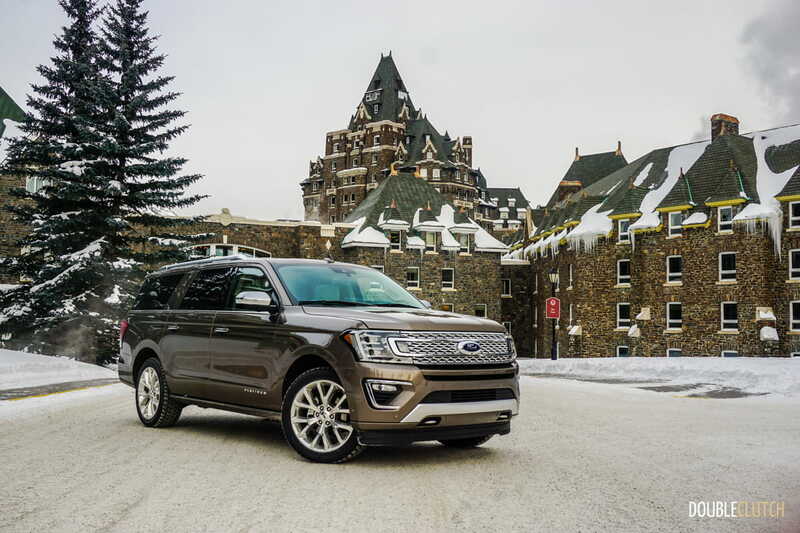 Ford offers the Expedition in two lengths; Expedition and Expedition MAX; the latter of which adds 11.9 inches to the overall length and about nine inches to the wheelbase. Chassis rigidity is also excellent, and the Expedition can now tow up to 9,300 lbs., which is excellent for this segment. This capability is thanks to the powertrain, which is a 3.5L V6 EcoBoost setup regardless of trim. 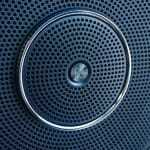 Two tunes are offered, the higher being good for 400 horsepower at 5,000RPM and 480 lb-ft. of torque at 3,250RPM. 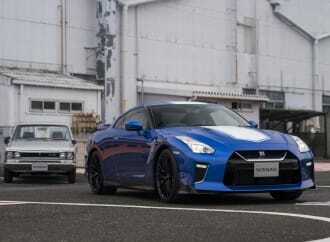 Standard models see 375 horsepower at 5,000RPM and 470 lb-ft. at 3,500RPM. 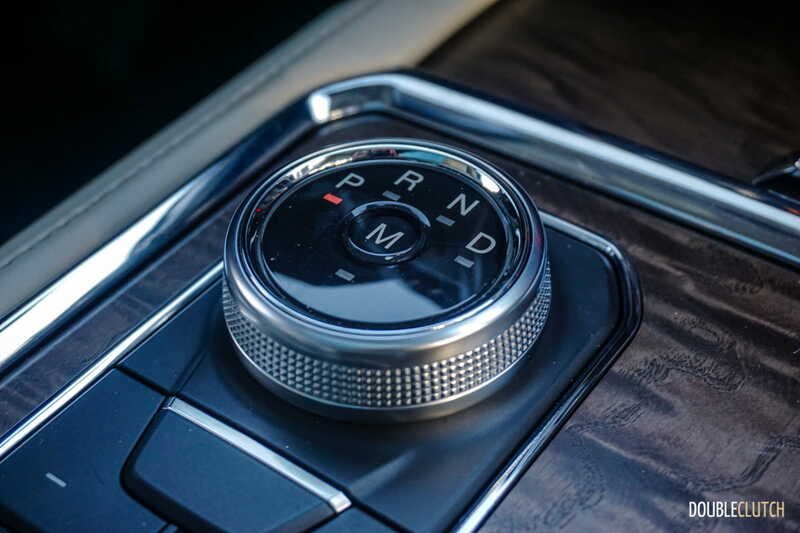 Replacing the aging six-speed automatic gearbox is an all-new 10-speed transmission, a joint venture between Ford and General Motors. 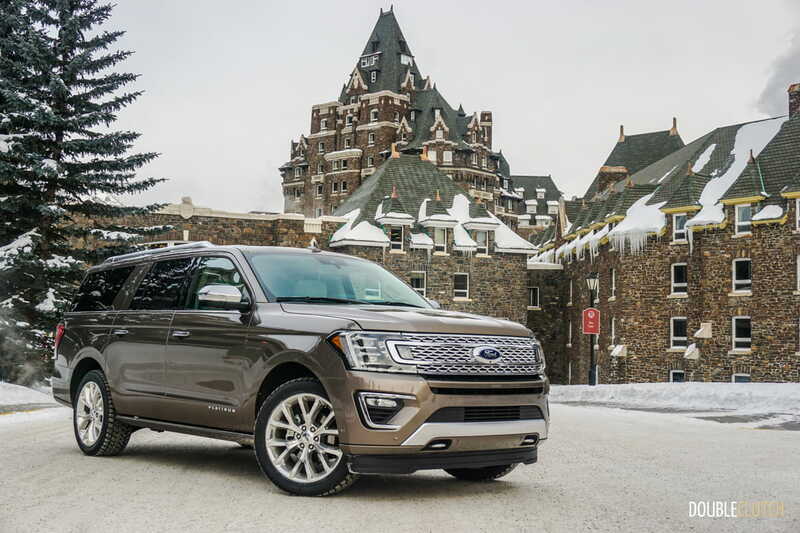 We have already seen the immense capability and seamless operation of this application in the latest F-150 (reviewed here) and can attest to its construction. The Expedition naturally comes with four-wheel-drive, but this is also enhanced with the optional FX4 Off-Road Package. 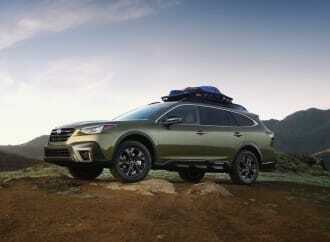 This is an offering geared towards those who want to take the occasional gallivant off the beaten path, and packs an electronic limited-slip rear differential, all-terrain tires, seven skid plates on the vehicle, and special off-road shocks. A special 18” wheel package on this model is more dedicated to off-road use than the 20-22” setups offered on the Platinum and other luxury-oriented trims levels. We have had the chance to push the Expedition’s limits both in the dirt and snow, and the truck has demonstrated the ability to handle everything thrown at it with ease. The Terrain Management system can be set to a variety of different environments using a selector, and will adapt various variables of the vehicle to ensure it delivers confidence. 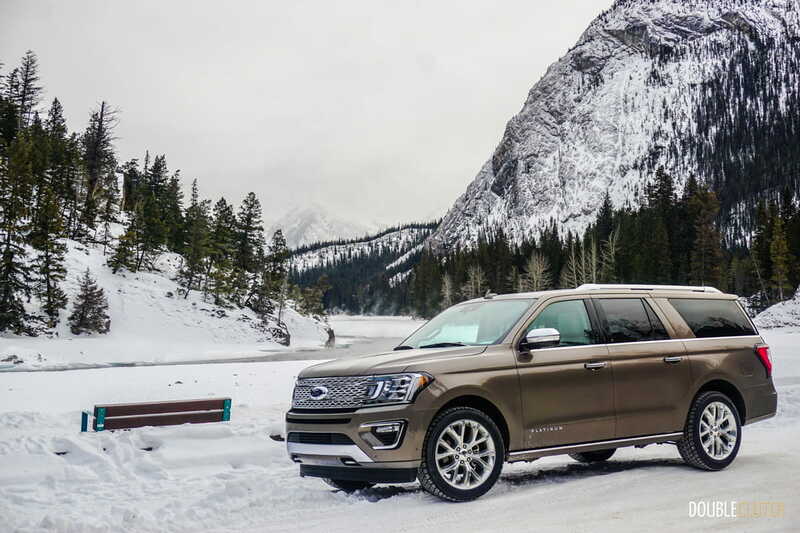 What continues to surprise is how eagerly the Expedition hustles off the pavement – when traveling through dirt and ruts, the chassis remains planted and ride comfort is never compromised. 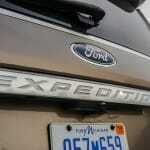 Out on the road, the Expedition feels smoother and slightly more comfortable than the GM trucks. 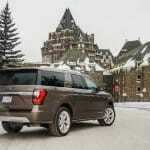 Despite remaining body on frame, the Expedition offers the softness of a unibody vehicle. The V6 continues to deliver numbers superior to the GM 5.3L, and is more refined too. 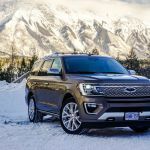 While many traditional buyers will wish for a V8 at this point for a large SUV, the industry standard is very quickly shifting to turbochargers. 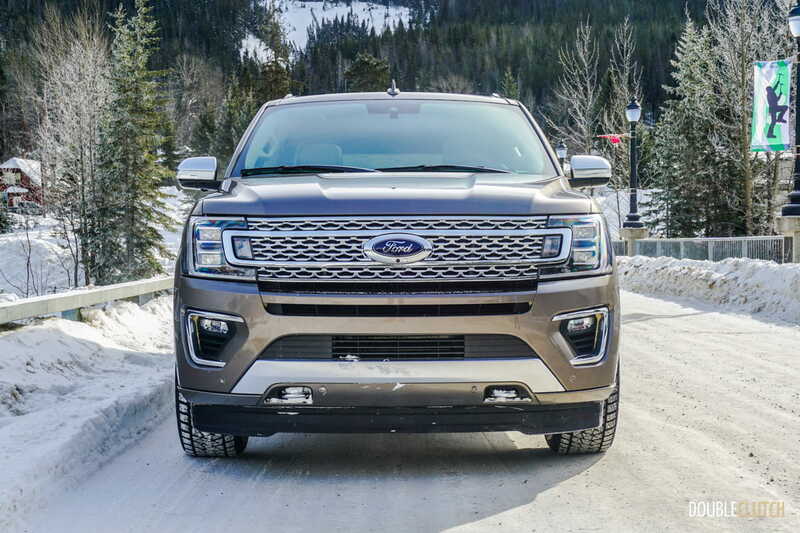 This truck is also equipped with Ford’s auto start/stop tech, which is among the smoothest and quietest of any manufacturer, including the Germans at a much higher price point. 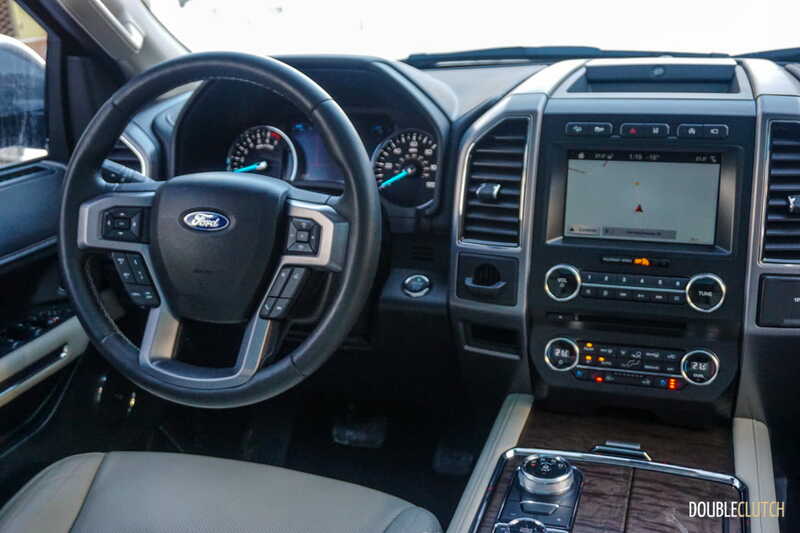 The interior of the new Expedition is a very comfortable place to be, and those who have spent any time in recent F-150s will immediately familiarize themselves. 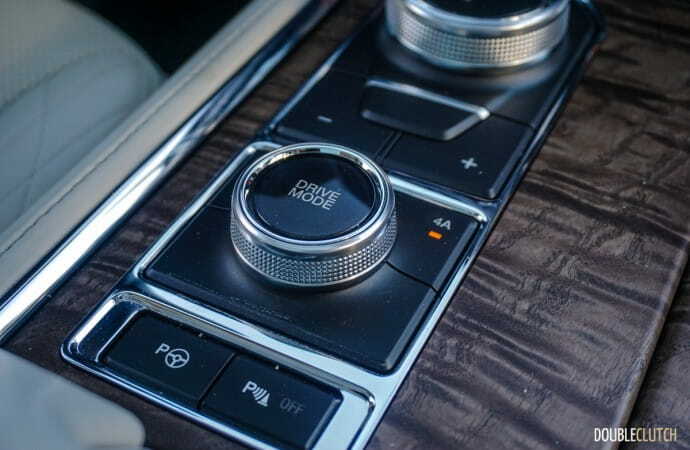 The top-grade Platinum makes use of supple leathers and very nice wood trim around the cabin, with gear selection made via a rotary dial located on the center console. 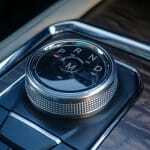 Gone is the day of a full console shifter next to the steering column – thankfully! The driving position is quite comfortable, and the second row chairs very easily flip forward to allow access into the third row. 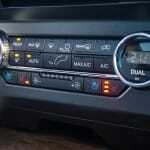 An optional second-row console can be added, but we find it intrudes on valuable access space to the third row. Both second and third rows fold down, making for a nearly flat load floor that’s perfect to bring home supplies for those weekend home renovation projects. With the third row seats in place, there is still suitable cargo space for a weekend away, but those who don’t want to travel light will want to opt for the longer Expedition MAX. 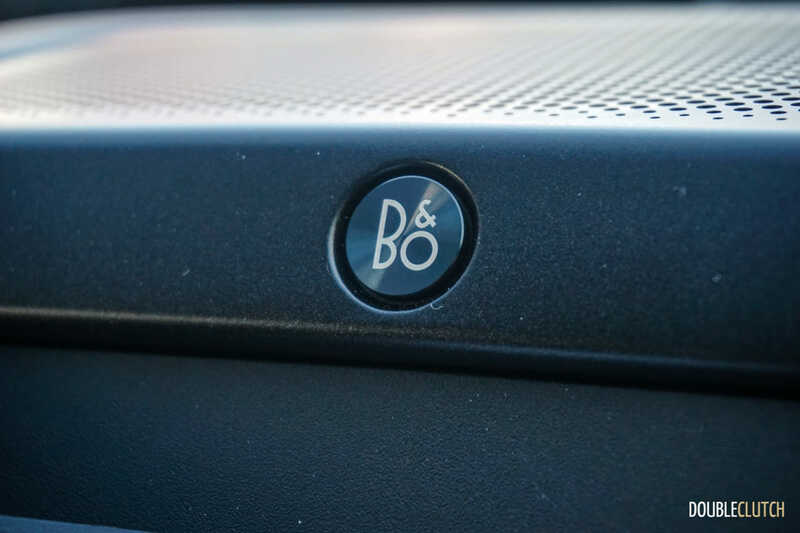 Ford has implemented a clever two-tier shelf system to make cargo area organization very easy. The vehicle is quite tall, and on the plus side, this provides brilliant sightlines all around. 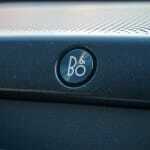 On the downside, shorter drivers will have issues jumping in and will want to make use of the optional power-deployable running boards. 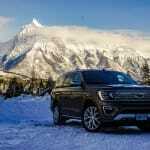 Active safety and a full suite of interior technology is now expected for new vehicles in just about every segment, and Ford is on board with all of it. 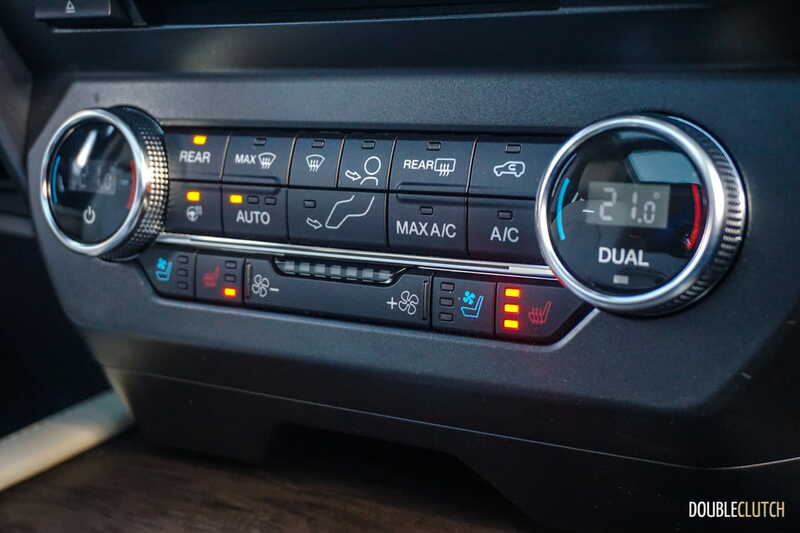 The Expedition offers a large touchscreen running SYNC3; it’s compatible with Apple CarPlay and Android Auto, and now even features a WiFi hotspot to allow for further connectivity within your vehicle. 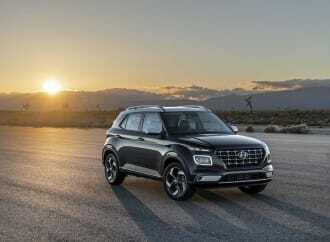 Safety gear includes adaptive cruise control with stop-and-go, a blind spot information system, lane keep assist, pre-collision assist with pedestrian detection, trailer sway control and of course, Pro Trailer Backup Assist. 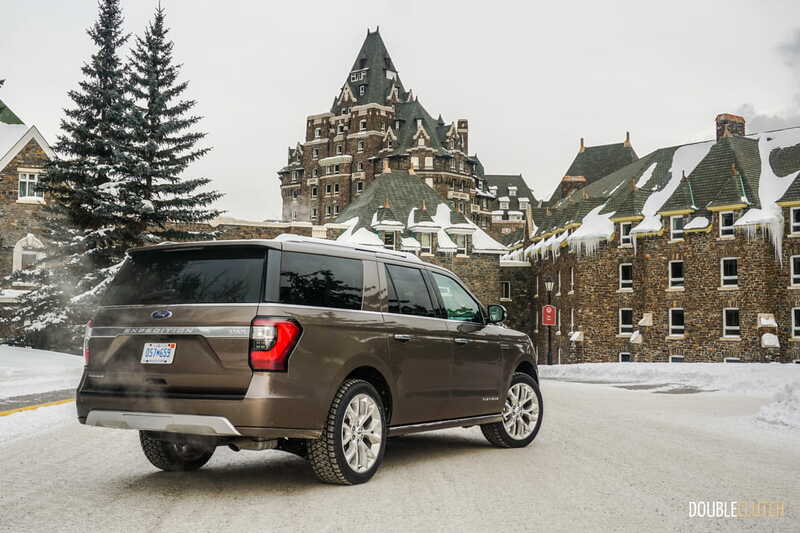 Canadian Expedition models start at $59,999 for the base XLT in short wheelbase form. 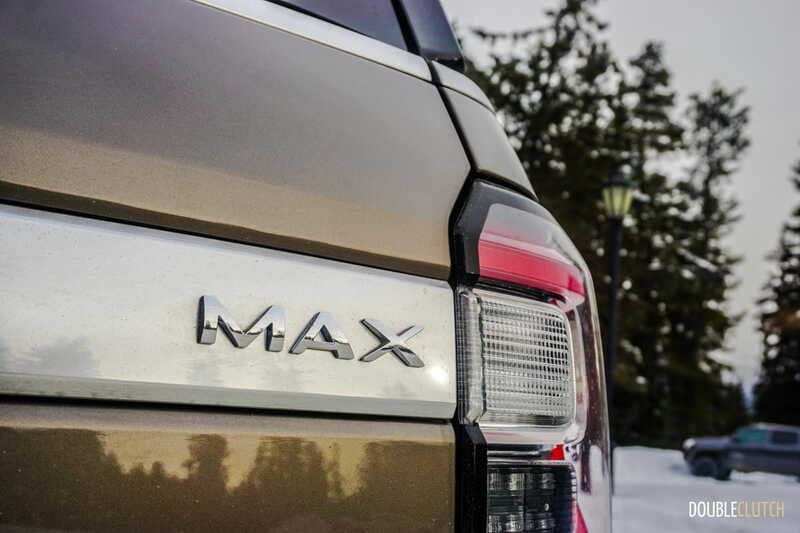 The extended MAX starts at the Limited trim, at $75,999. 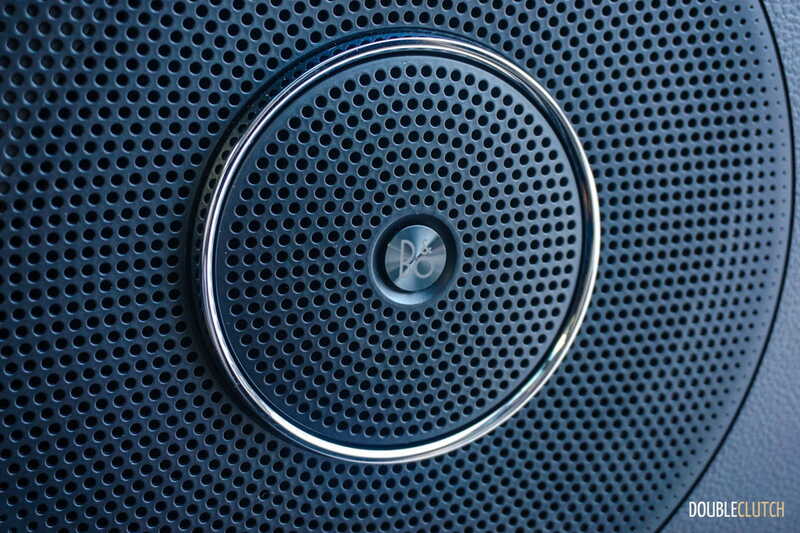 Both the Limited and Platinum can be had in both lengths, with the range topper Platinum MAX starting at $83,999. 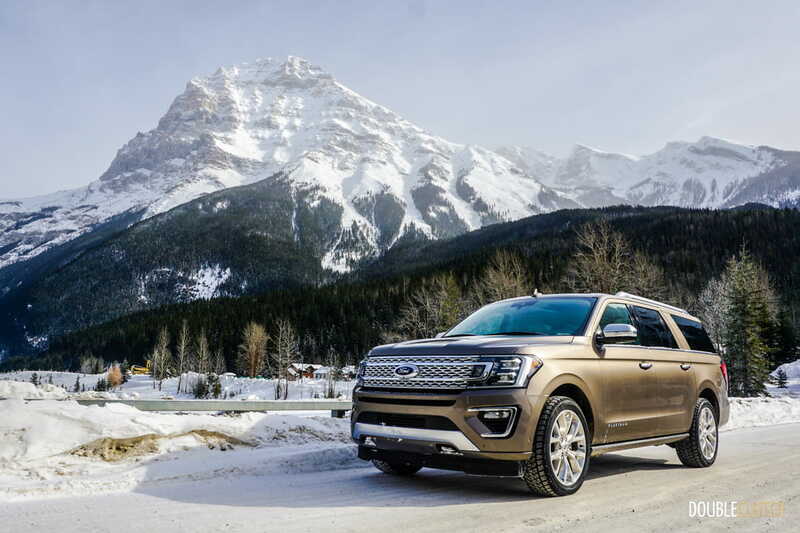 Noteworthy options include the FX4 package for $2,000 on top of the XLT, and the stunning dual-headrest DVD system (Invision) for $2,100. The Ford EcoBoost application has proven itself to be a capable, powerful and smooth operator. 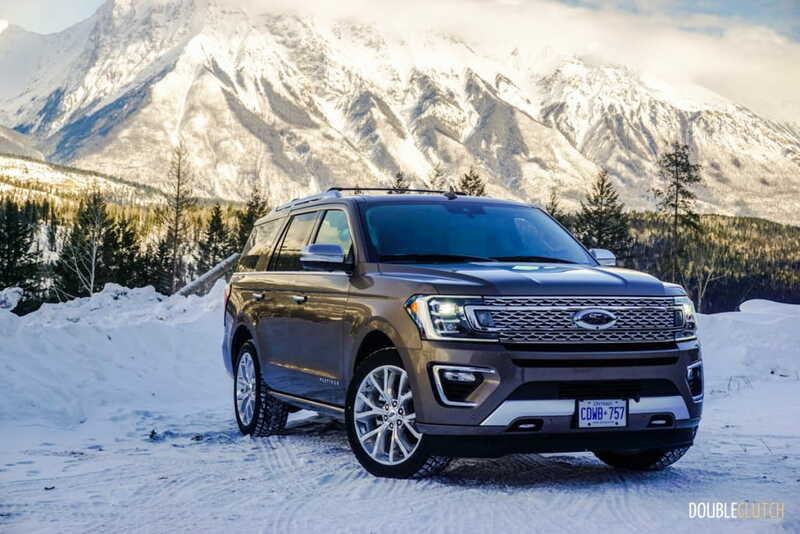 Where we haven’t seen much of a deliverable is in real-world highway fuel economy, especially with a recent test of an Explorer Platinum (reviewed here). 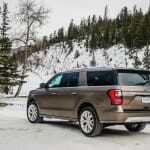 The Expedition is rated for 13.8L/100km city and 10.7L/100km highway; for a combined rating of 12.4L/100km. 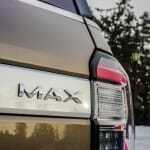 The extended MAX comes in at 13.2 combined, but we couldn’t fare any better than 15L/100km. 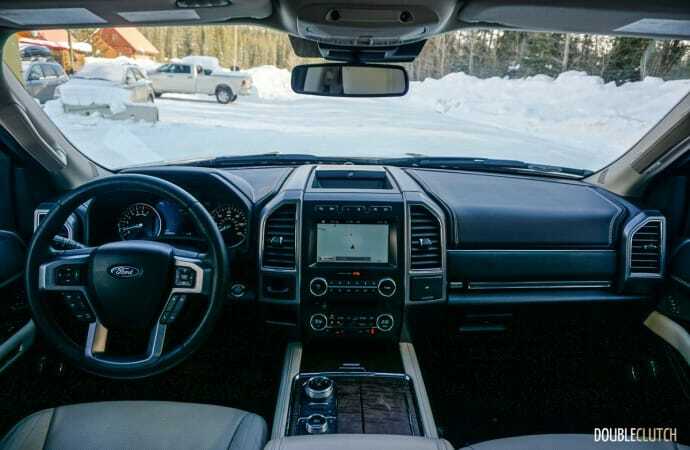 This first drive consisted of very atypical driving habits, bitter cold temperatures pushing -25 degrees Celsius, and off-road use up into a logging area, so we will be putting one to the test back in Toronto to see how efficient it can be in a day-to-day commute. 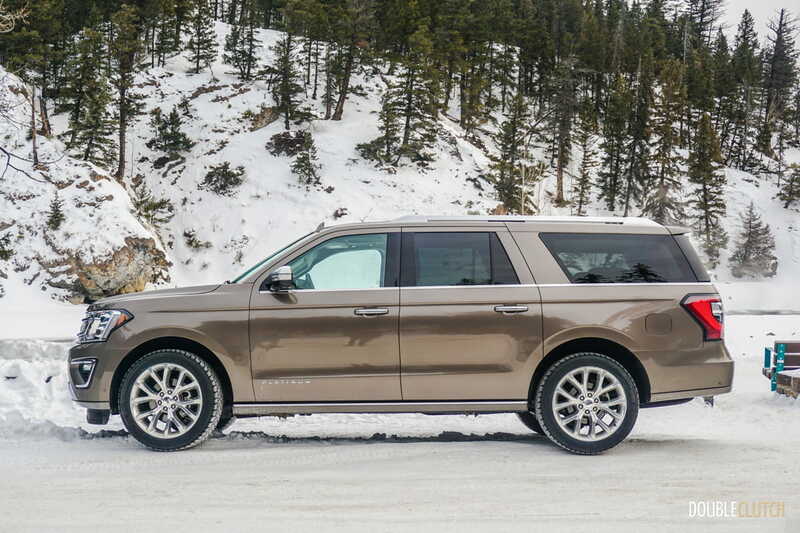 After a few years of obsolescence, it’s a pleasure to see Ford back in the full-size SUV game. 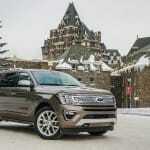 We knew it was only a matter of time, considering how capable and genuinely good the new F-150 is, and the 2018 Ford Expedition lineup is proof in the pudding that Ford still has what it takes to produce one hell of a family hauler. 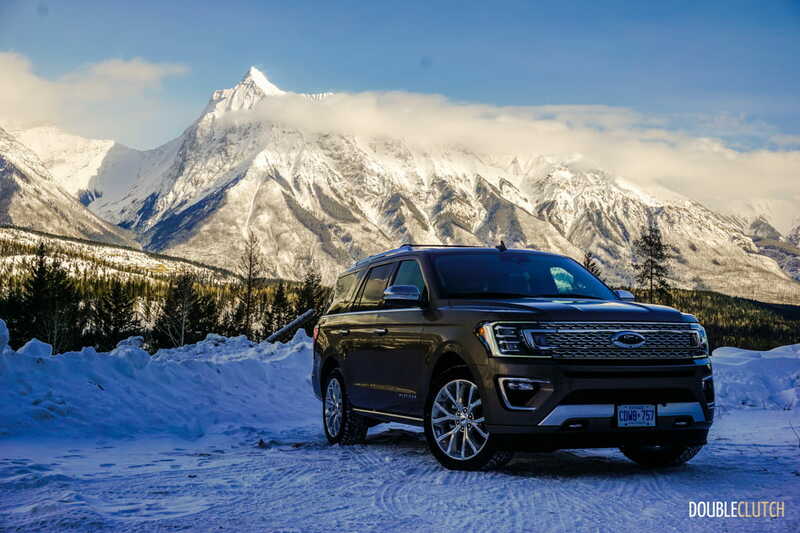 We had great initial impressions from our initial test of the new Navigator (reviewed here), so we’re excited to spend more time with both the Expedition and its more premium sibling on our own turf in the coming weeks.